We have plans – plural – on where we want to take this, but there are lots of interdependencies. The aim is to make capture something that rewards teamwork and to make it more competitive. It should fuel battles more than drive them. The current table-bump mechanism fails at that: I run into a building, I touch the table, I watch a timer, I die, my team and I go unrewarded because 99% success is rounded down to 0%, i.e. failure. And now that I know there are enemies in that building, why would I go back there? This leads to short capture timers which are not really long enough to fuel enduring battles. Yeah, people fight over depots but it is a choice. It needs to be a no-brainer. The more often people fight over depots, the more often attackers will attack them and defenders will defend them, which means … more fighting. For infantry, I want to build in a new “zoom level” of game play that turns momentary contacts into engagements. All too often our game fails to retain FPS people who can accept the lead in time to fights, but what they can’t accept is that they don’t get fights, instead they get “shots”. Without suitable rewards, whichever side is having the heavier hand dealt to them will tend to retreat and go elsewhere. The only way to thwart that is through some kind of reward and convenience. I don’t want to raise the cost of going elsewhere, but spread out the cost of being defeated. N.B. : I did not say “reduce”. Perhaps mobile spawns would have to deploy further away from town, to add a little more build up time. But then the mission leader could lead an AI squad of men much closer to town than MSPs could previously where they deploy – going prone. Perhaps he can even get them within 200 feet of an enemy facility. Each subsequent infantry that spawns translates into one of these pre-made units until they are depleted, and then someone has to bring another squad forward from the MSP. Perhaps they would only be available to people respawning – and to be eligible you would first have to get within a certain range of the deploy squad of men. What I want here is to avoid repeating what we did with the MSP in the sense that people log in, pick an MSP and spawn into a battle with absolutely zero investment. The MSP was a counter to “Taxi to Victory”, but we countered the symptom not the problem. The problem is that we did not reward the player’s investment. If you called a cab, spent 30 minutes riding to a restaurant, paid the cabby $40 and a $10 tip, only to find that moments after stepping out of the cab you were back in your house, you’d probably give up after the 2nd or 3rd try. But if you you found that you were 2/3rds of the way to the restaurant from your house you – are you going to go home or finish the trip? And lets say that as you choose to go back to the restaurant, but as you reach for the door you wind up magically back at that 2/3rds point again. One last try before you give up and order pizza? A side note here, and I hope I don’t sound arrogant saying this: as a player, I find it hard to hear developers talking about “rewarding” stuff. “QQ, L2P”. But there I just used the term. I’m not going to edit it. Reward is a general word, and in design terms it just means “sweeten the deal”. It doesn’t automatically imply a ticker-parade and fanfares and phat lewtz. Yes, those are rewards, but so is shortening your return trip from 15 minutes to 1 minute or 5 minutes. Implementing something like the above – which I must tell you is not far from ideas I have spun to the production team but has healthy competition, so don’t jump to any [of the usual] conclusions on this one – has a lot of dependencies. For instance; the most value to it would come from letting you respawn without despawning… Something our current infrastructure would need tweaking to support. There has been a lot of speculation regarding capture mechanisms changing for 1.31 and indeed we are making some changes that I can outline for you today. First and foremost the capture table (or crate) is no longer a part of the game. Instead we will now use presence in the capture building to initiate capture. When you enter the building you’ll get a small capture dialog that tells you ownership and spawn capability and if you can capture the building similar to what you see today. Capture will be continuous however. If you start the capture but die before completion but there is another member of your side in the building the capture will continue. If you die as the last man in the building the capture will begin to undo itself but you’ll still have time to return and try and continue the cap, it won’t immediately start over. The other side to this coin is that it will take longer to capture than at present. And I can’t wait for rainy weather ground fighting. I’ve long hoped for a kind of zone capture thing where the area you’re in is capped over time to your side when you have the controlling numbers and you need to move through the town capping each zone to gain total control. Zones could be a city block or something of similar size. So when you look at the map you see your controlled zones in blue, enemy in red. Make it a fight for the area and not just building next to the spawn point. Anywho, I’m sure you guys have all sorts of ideas already. Looking forward to what you come up with. Very nice – and a chance to fix a couple of other outstanding issues maybe? See post # 328 in the 1.31 discussion thread on BE forums. OT: Okay… that’s just spooky… how come my Avatar here looks the same as the one at Broken Toys and how come it looks just like me IRL? so What happen if an ennemy is going inside the same building but stay on ground floor without killing me usptair? capture timer is still on? You hit all the Buzzwords concerning ‘Capture Rules’ that I’ve been waiting to hear! However, while I understand the intent, I do have some reservations about the ML+AI squad for players to spawn into Idea. And I am concerned about what looks to be a continuation of fixed locations to capture and fight over. Not really sure that such a clunky mechanism really needs to be retained. Perhaps there’s a better, more organic way of doing things. I agree. Often I have thought how I would like urban battles in WWIIoL to be a more like Arnhem in that they progress house by house and street by street. But I can’t think of a practical way to do it within the context of the game? 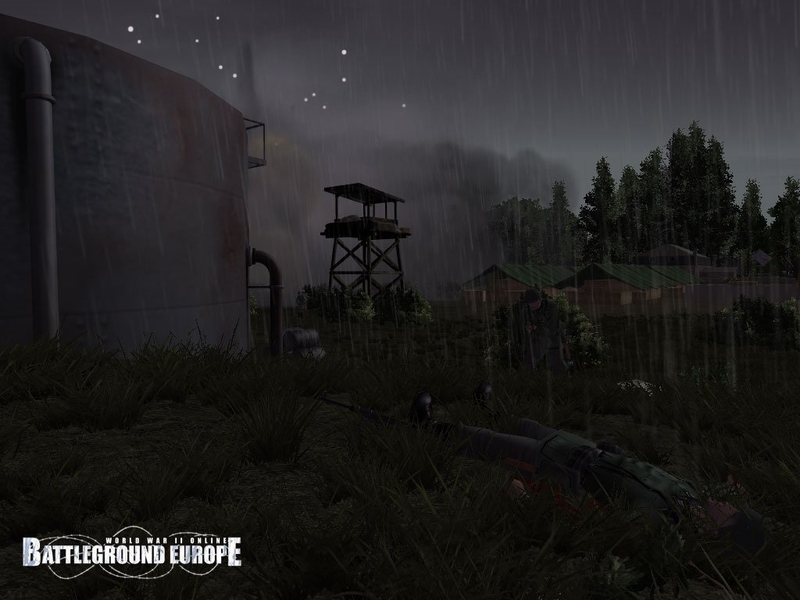 Interesting concept, I think we can forget the AI squad idea though, if ArmA or OpFlash is anything to go about, they’re just a decoy as you go and do the work of a squad on your own. I like the idea of respawn without despawning though, that is definitely something to look into as it would save a lot of time and encourage people to stay in the same area, the down side is that you would need to offer different units to use, perhaps a cool down timer where you choose your next unit ala Team Fortress. 1) Allow for Repositionable Infantry Mission Spawn Points (RISPs) that a ML can reposition some distance (To Be Determined by CRS) from whatever the Infantry Mission’s primary spawn point presently is. 2) Make it so the means by which a Flag Position is captured occurs when an Infantry Mission is able to move its RISP into proximity (the optimal distance of which to be determined by CRS) of an enemy owned Flag Position. Like I said, quick and dirty and woefully incomplete, but the basic Idea here being that a Mission wouldn’t so much be a Mission as it would a Unit (of no specific military designation). This would be because when you spawn into your mission, you would immediately have a common fundimental purpose with everyone else on your same Mission – To protect your Spawn Point from the enemy and help the Mission Leader to maneuver the RISP to either capture or defend a Flag Position. Your Spawn Point becomes your Mission/Unit’s ‘Colors’ around which you all would rally and fight. Meanwhile the enemy is doing the same thing, rallying around, protecting and maneuvering their RISPs in order to best capture or defend Flag Postions from you. Admittedly, there is much that I am not addressing here in this limited space and format. All I am hoping to do is to get the fundimental Idea across. The “stay and fight” component is the strongest rationale for me behind such changes. Our fights evaporate far too quickly so that despite all the UI and map and whatnot changes, we continue to have the problem where not enough people decide to stick it out and encounters don’t become engagements: we wind up with map-churn whereby people run to the first squad sighting of an enemy only to find the enemy is down and has gone away. I’d like to build some of the old “taxi” investment: start by moving the MSP distance a very long way back – but don’t QQ just yet. Gophur wants – and I concur – MSPs to be a mission-independent resource that mission leaders may select (I’ll take that one for my mission). This MSP would have a difference: you can spawn a truck from it (and ATGs etc). The truck can drive further towards the town and deploy a forward MSP, just like the current ones, but still a fair bit further from town than the current MSP. From here the mission leader gets the option of deploying a Mission Leader Spawn Position: MLSP. These aren’t instantaneous, but take a period of time to deploy (30s?) and activate (30s?). At this point, the ML and any players working with him have a new assignment: Advance the MLSP. There would be a number of positioning rules governing where the next one could be placed, to the aim of encouraging team work in securing a position where it can be redeployed. For this to work, though, the client needs to understand the rules as well as the host so it can clearly mark available zones on the map rather than leaving you blind and guessing. Perhaps the server would track [some of?] these positions so that if the enemy takes out your forward most MLSP one behind it kicks in. If they take out your forward MSP, it falls back to the original MSP (if you had one). This keeps the forward moment going; it gives players some investment potential between the FB and the successful capture of a depot. Right now the only investment you can have is an MSP, which some “freak” who’ll drive a truck takes care of. By making you start further away and claim forward ground, that’s investment. For myself, I think it might be an idea to make players always start one spawn back, and make them get close to the forward spawn – or the mission leader, or something – to flag themselves as now able to respawn up-front on this mission. Making you start out further back that first time is a small inconvenience that is inline with the styling and scale of BE. But it also introduces a built in switching penalty that isn’t as transparent and contrived as, say, a spawn delay (Which would you rather do: Spend 60s at the spawn screen waiting on a side-balance delay or spawn into the world 60s further from your goal and running?). Well, my idea of an RISP is identical to your MLSP because, to be honest, I stole it entirely from you from something you wrote on your blog last summer I think. :-). I just forgot what you called it. But I did remember the basic premise even if the details escaped me. And I simply took your Idea and expanded on it a bit. What I came up with and what I am suggesting is to use the MLSP as the Capture Trigger rather then having players hump-a-table or stand around inside a building. In order for the MLSP to trigger a Capture, the Attacking Mission must Deploy and Activate its MLSP, under your rules for deploying and activating an MLSP, in close enough proximity of Flag Position. What about the Defender you might ask. Well, what’s good for the goose is good for the gander. Allow Defender to have MLSPs as well. If an Attacker has grabbed one of the towns Flag Position, the Defender would need to counter-attack, remove any enemy MLSPs in the Flag Postion then deploy and activate one of their own in order to recap the Flag Position. Or, possibly, occupy a Flag Position first in order to deny the enemy ready access to that Flag Position. The Attacker would either have to go elsewhere or assault the Defender to try and remove that MLSP and clear enough space around it so the Attacker could deploy and activate their MLSP. What you’d end up with would be several Attacking and several Defending MLSPs in and/or around a town, manuevering for position and/or assaulting each other. Fights would, hopefully, be reasonably sustainable. Admittedly, there are some issues I’ve not address here that this Idea would raise (like what would you do about Brigade HQs or reinforcements, for example). I think I’ve got answers, but they’d be moot if the core idea of using the deployment and activation of MLSPs as the Capture Trigger is unacceptable…but I do think I can address such issues. Perhaps these kinds of ideas would integrate well with evolution toward an implied defended line, with implied defended positions to either side holding enough rear area to contain a line of supply/communications that’s not under direct fire. Defending in the round is an odd choice as the game-default. Defending in the round and still receiving supplies and replacements is especially strange. You must make sure that both sides have the same distance to run to target if one side can get to the capture point faster than the other then they will always hold an advantage, that said gaining a spawn point closer to the capture zone could be a reward for work done. not a current subscriber (but planning to when 1.31 is live) therefore I couldn’t post for help in the forums. Can somebody point me to Allied ATG guide? Need to know how to estimate range using the ATG reticle, mils, dimensions etc.. especially with the french guns. Great Post! Some really good points here. Good “game play” allows players to formulate personal goals with achievable rewards. I think it is important to understand that a players perspective of “game play” doesn’t necessarily start when they come in contact with the enemy or the objective – but starts when they have an opportunity to make choices regarding the impact their presence makes in the game world. For most, the highest levels of enjoyment are accomplished in a teamwork environment that allow high levels of socialization. “Fighting” is only one aspect of teamwork. As you have indicated, getting players closer to the objective at lightning speed does not necessarily satisfy a personnel sense of satisfaction (especially if they are ill prepared for deployment). The lack of ability to adequately prepare for combat or work with others; cheapens the experience of players. Being killed by any type of AI also is destructive to player satisfaction and moral. The implementation of quicker capture techniques will force players to achieve broader area control around the objectives. While MSP’s are great at putting large amounts of players into an established engagement; their use to maintain area control will not be well received because they can dominate uncontested areas leaving little or no action for FPS players. 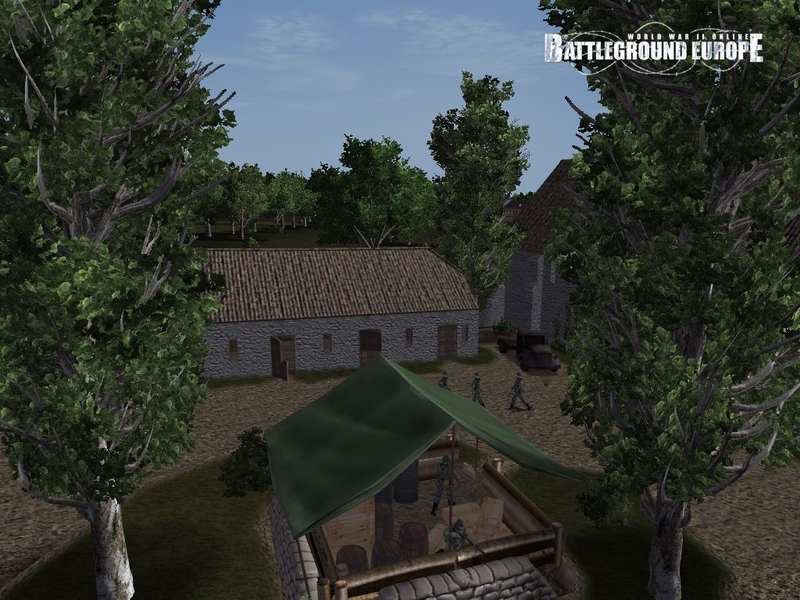 Why not develop and implement “Platoon” missions in which small groups of players can develop common objectives, organize there own transportation, defensive ordinance, assign member duties, and share points for achievements…outside the game world before they spawn. This way, the game still can appeal to FPS type players who use MSP’s linked to HC determined AO’s to continue to create the massive deployments fueling large battles; but will also have a more immersive type of game play that satisfies the tactical and social requirements of SIM type players?. That’s what we’re calling “Dynamic Missions”. We have to overcome some technical issues that I’ve described at length before to get around to implementing them. I’m experimenting with a short cut in next week’s 1.31 open beta. 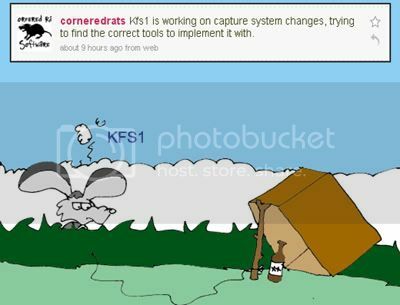 KSF1 – there seems to be a little confusion. I have been looking for references to “Dynamic Missions” posted by CRS but the only references I am finding have to do with the ability to change missions on the fly as referenced in the Rat Chats several years ago. Not the ability for players to group and plan missions. Could you please give us an overview of what you are working on for the beta? OK – Correct me if I am wrong. Is CRS’s goal for the game to make persistent missions that will keep players engaged by allowing them to spawn in on the mission leader. “Dynamic” meaning that the leader continues to draw players out of the unlimited spawn pool for a mission that never ends and spawn them in on the battlefield based on his position? Dynamic Missions refers to the ability to modify the parameters of your mission from the in-game UI, and potentially the ability to join/change missions while spawned in. Ability for players to spawn at a mission leader is “Spawn At Mission Leader”. Obviously the latter would be quite desirable for the former. There are a whole plethora of posts where I discuss both on the blog (too lazy to link), going back to 2006ish. The big obstacle is a disconnect between where that data is managed and where the player is once they spawn: there is an exponential amount of work involved in introducing dynamic missions for as long as a spawned player is not in contact with the map/mission host – which is currently always the case when you are spawned. One design that was well received was to replace the current mission system with two new concepts; companies (which the average player should not be inconvenienced by, they’re just a period-esque way to group OIC created organization of goals, and you can switch between them when you change goal) and details.